Guess what? In one week I’ll be teaming up with Rockstar Book Tours! The tour runs for two weeks – July 8th-12th and July 15th-19th. There are ten stops on the tour, which consist of reviews, guest posts and interviews. 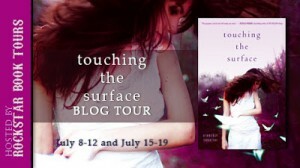 The tour will also have a giveaway for five SIGNED copies of TOUCHING THE SURFACE via a shared Rafflecopter. I am in love with this gorgeous badge, designed by Parajunkee Design. Didn’t she do an amazing job? Feel free to check out more of her design work and to grab a copy of the badge to post in your sidebar! In fact–plaster it anywhere you’d like. I would love to have you help to spread the word. You can find out more about Rockstar Book Tours HERE. And if you’d like more information and a schedule of the TOUCHING THE SURFACE tour, you can check that out HERE. Don’t forget–all summer I’m running a Write-a-Review contest!!!! Read TOUCHING THE SURFACE and then post your review on my Amazon TOUCHING THE SURFACE page and my Barnes & Noble TOUCHING THE SURFACE page. You only have to write one review, but each post will get you a chance to win a $100 gift card. You can read HERE for more details about the contest. In order to make sure I can reach the winner, use this Rafflecopter to record your entry. As if that wasn’t already a whole bunch of awesome, I’m really looking forward to doing a book signing at Anderson’s Bookshop in Larchmont, NY on Saturday July 13th! I’ll be there with Joanne Rock and Karen Rock aka JK Rock! 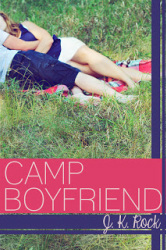 You can click on the covers to find out more about both books!